FGRT’s own holiday survey, which was carried out among 1,048 US Internet users between August 11 and August 17, 2017. The International Council of Shopping Centers’ (ICSC’s) Holiday Shopping Intentions Survey, which was conducted among 2,020 US Internet users between September 11 and September 14, 2017. Quality…and assessing quality: Low prices are, of course, important, but quality of products ranked slightly higher among holiday shoppers when they were asked how they pick a shopping destination. Related to this, both our survey and the ICSC survey found that the ability to see, touch or try products in person was the top reason cited for shopping in physical stores. In other words, consumers want to judge product quality for themselves. Experience and enjoyment: Some 35% of our survey respondents expect to shop in physical stores because they enjoy it—and that was the fourth-most-popular reason cited for shopping in-store. Bearing out the demand for enjoyable experiences, the ICSC survey found that 81% of shoppers polled who will visit a mall plan to partake in an activity that is not related to shopping, such as seeing a movie, visiting a restaurant or having a beauty treatment. Unfavorable price comparisons: Relatively few consumers now believe that prices are cheaper online than in stores: in our survey, a perception of prices being cheaper online was just the ninth-most-popular reason given for using e-commerce. This suggests that messaging and price-parity efforts by multichannel retailers have been successful. Showrooming: The practice of looking at products in a store and then buying them online is set to be relatively rare among shoppers this holiday season. The ICSC survey found that just 7% of those polled expect to browse in a physical store and then buy online this holiday season, while 23% expect to browse online and then buy in a physical store. Buy online, pick up in store: Some brick-and-mortar retailers may be counting on their buy-online, pick-up-in-store services to fend off the Amazon threat this holiday season. But only 17.7% of holiday shoppers we surveyed said that such service was important to them when deciding where to shop—despite fully 82% of respondents saying they expect to purchase online. In fact, the ability to buy online, then pick up in-store was only the 13th-most-popular reason that those we surveyed cited for deciding where to shop. 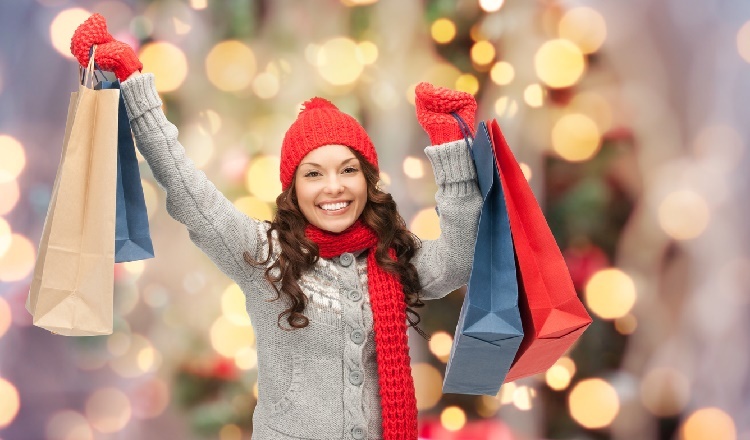 In short, buy-online, pick-up-in-store service may not be the draw that some brick-and-mortar retailers hope it will be this holiday season, but physical stores continue to prove a major draw for shoppers looking for experience-rich environments that are imaginatively filled with quality product for them to discover.